It is has been shown that the quality of indoor air is at least 10 times, and maybe as high as 100 times, worse than that of outdoor air. Breathing in that bad air is not good for anyone’s health. If there are those in the home that may suffer from allergies or other respiratory problems, the quality of the indoor air is of utmost importance. A home’s carpeting can lead to problems with indoor air. Here are a few key health benefits of professional carpet cleaning. With all of the pollutants and allergens inside your home, many of them will wind up trapped in the fibers of your floor coverings. The constant breathing in of these pollutants will irritate those who suffer from allergies. A carpet cleaning service can help to remove these dangerous particles from a home’s carpeting and, thus, from the indoor air. One of the leading contributors to childhood asthma is the quality of air inside the young one’s home. With carpet fibers full of dust, dust mites, and other pollutants, children who continually breathe in these particles are more susceptible to developing asthma. This can also lead to health problems later in life. Regularly scheduled carpet cleaning, at least once every 18 months, can help reduce the onset of asthma. In a warmer, damper climate, your home may be more likely to have mold problems. This is especially true if you have any basement carpeting or you are very close to your water table. The growth of mold is as dangerous as any of the other pollutants that may become trapped in your floor coverings. 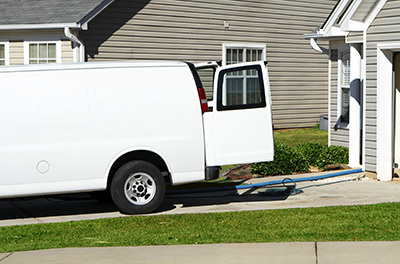 Like most professionals, Carpet Cleaning Canoga Park would recommend that you have this taken care of immediately. Breathing in mold spores can lead to serious health problems, which can lead to issues later in life.